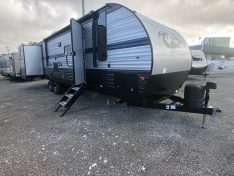 When open roads beckon and wanderlust stirs, The Forest River Cherokee line of Travel Trailers and Fifth Wheels help you answer the call. 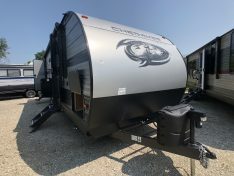 Every Cherokee is built to give you better comfort, style and value, so you can enjoy your travels to the fullest. 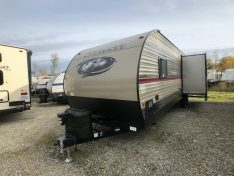 Cherokee Travel trailers and Cherokee fifth wheels are recognized from coast-to-coast as a blend of quality, consistency, innovation and value. 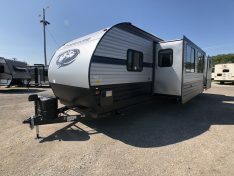 Their wide array of floorplans and features make it easy to find just the RV you are looking for. 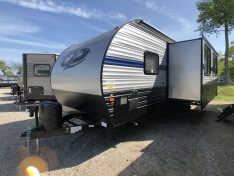 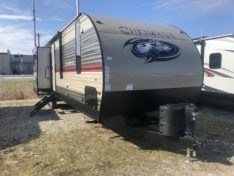 From small RV Travel Trailer’s to larger Fifth Wheel Trailer’s Cherokee RV has the perfect RV for you! 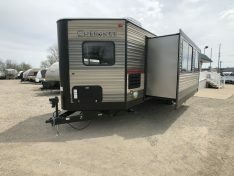 The Cherokee 274RKS Travel Trailer is one of the most popular floorplans in the Cherokee line up.